The Nahe Valley, pronounced Nah-heh, is 25 miles south of the Mosel Valley in southwest Germany. Nahe is known for its mild climate, moderate rainfall and diverse soils yielding Riesling with finesse, light spiciness and attractive mineral highlights. 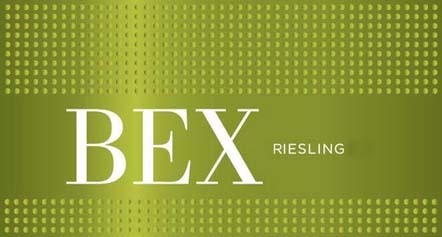 BEX Riesling offers the perfect balance between fruit and minerality. 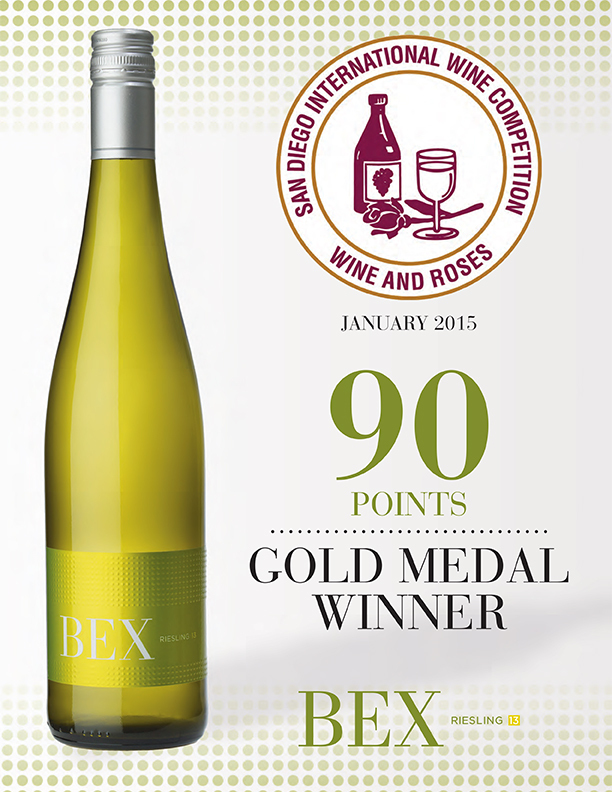 Medium-dry in style, BEX shows floral and citrus aromas followed by juicy flavors of white peach, apricot and Mandarin orange. BEX finishes with mineral and crisp citrus zest highlights. 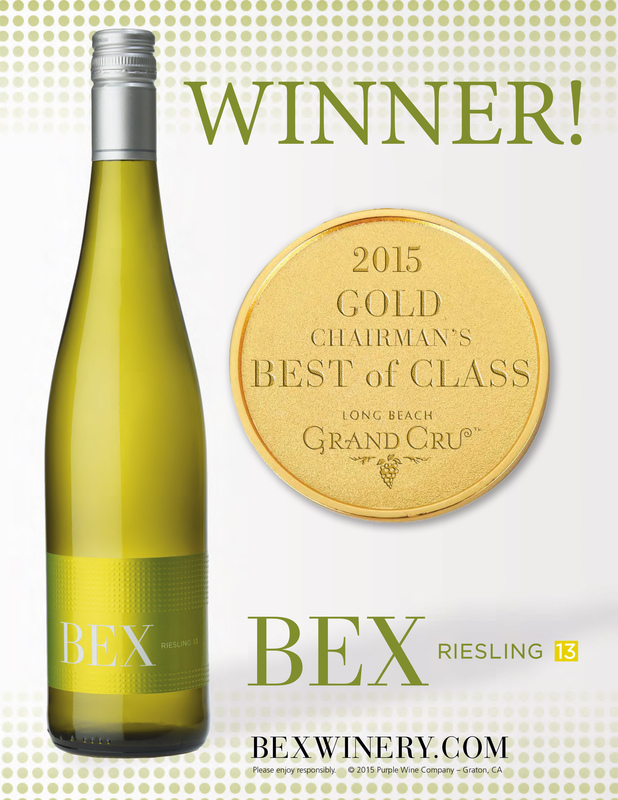 BEX Riesling is distributed throughout the USA. Whether it’s being served by the glass at your favorite restaurant, or sold by the bottle at your wine shop of choice – an incredible glass of Riesling is never far away. The wine region of Nahe, Germany is one of the country’s smallest viticultural areas. 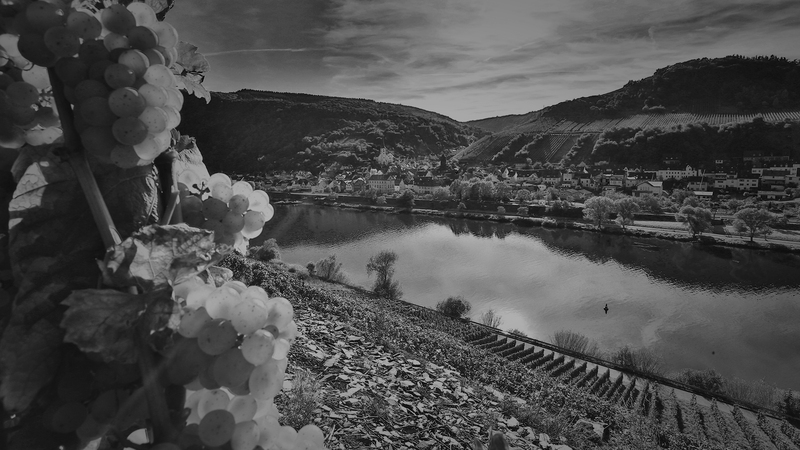 The area is named for the River Nahe which winds through steep slopes covered with vines until it meets the Rhine River in Bingen. Located 45 miles southwest of Frankfurt, Nahe’s climate is mild with lots of sunshine, moderate rainfall and very little frost. Vineyards are shielded from northern Europe’s cold winds by the neighboring Soonwald and Hunsrück Mountains. Nahe’s extraordinary range of soils is quite rare in the wine world. A violent geological past including volcanic eruptions and massive earthquakes mixed and remixed the soil types. Today the complete rock cycle of igneous (volcanic), sedimentary (limestone, sandstone, clay) and metamorphic (slate) rocks can be found here. Soils change every few hundred feet – each geological formation subtly affects the sensory profile of the wine. Although the area was settled during Roman times, it was not until the Middle Ages that Nahe wine flourished. For several hundred years, vineyards and wine cellars were tended by the Catholic Church as was the case in many parts of Europe. 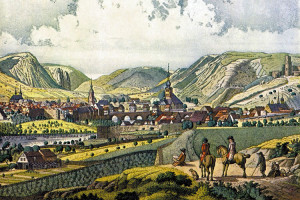 By the 19th century, Nahe’s reputation as Germany’s finest wine region was established. After the economic downturn of World Wars I and II, Nahe’s wine industry was decimated; production and wine quality declined. Over the past 40 years, the region has experienced a renaissance in vineyard plantings and winemaking. 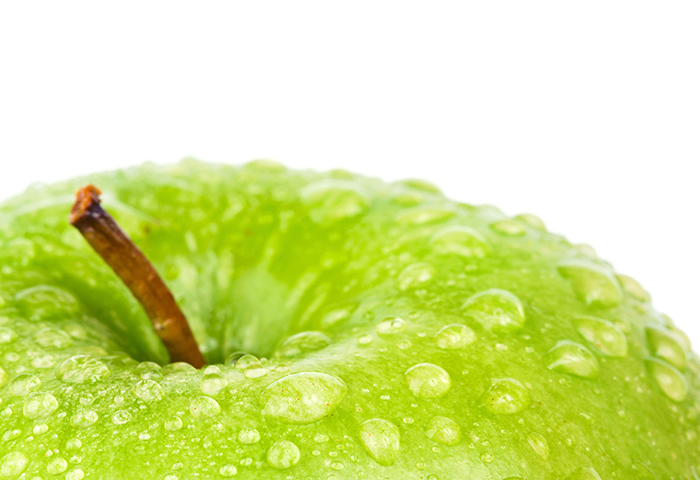 Today, Nahe’s wine industry is focused on quality winemaking. 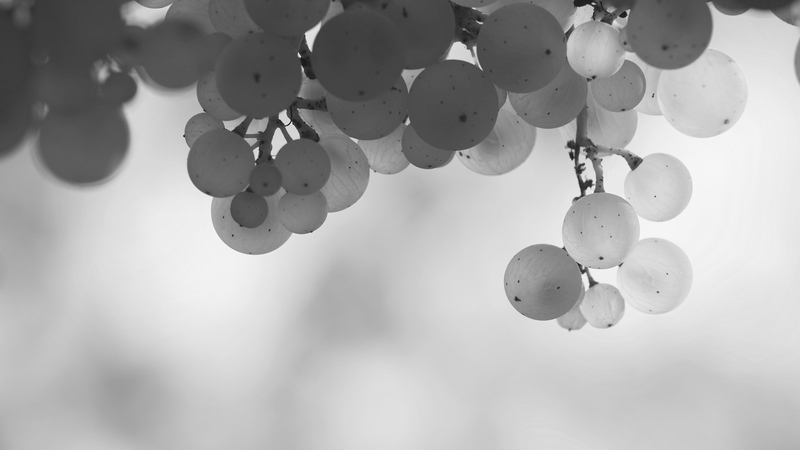 Riesling is the shining star of Nahe and the region’s most widely planted varietal. Nahe’s unique conditions allow grapes to ripen slowly, maintaining fruity acidity, developing natural sugars and absorbing minerals form the soil. 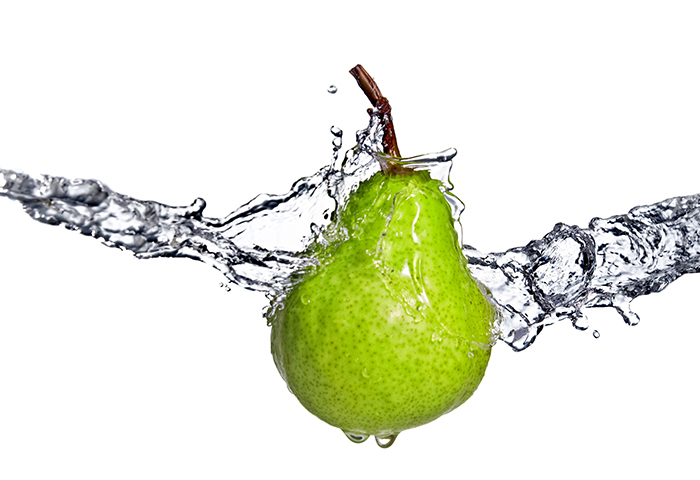 Rieslings have a distinctly fruity taste, with hints of apple or peach, underpinned by strong mineral aromas. The 2014 growing season was early and fast! Riesling shoots appeared on April 12, three weeks before the norm. Flowering was ahead of schedule and the vines ripened nicely through August when a period of strong rains occurred. Luckily Mother Nature delivered a nice dry September helping the grapes to reach full maturity. 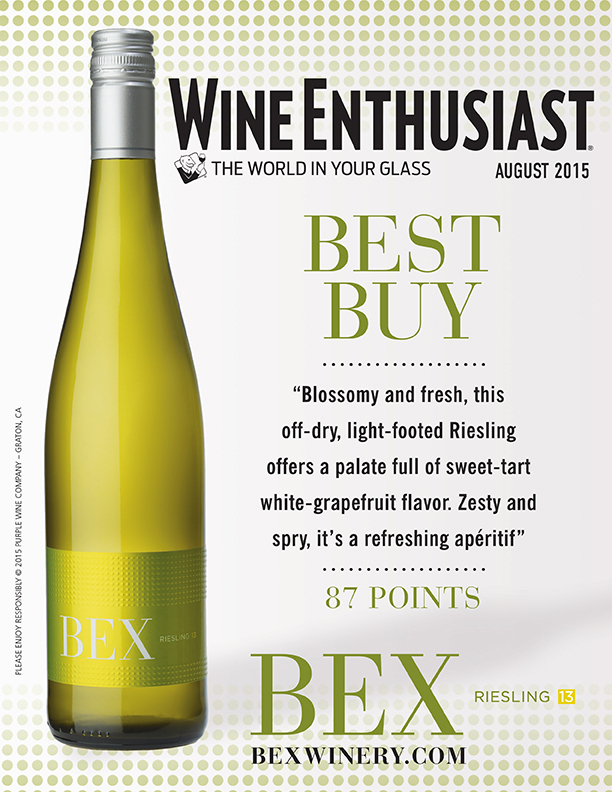 The hallmark of 2014 Riesling are sassy wines – crisp and lively with well-integrated acidity. 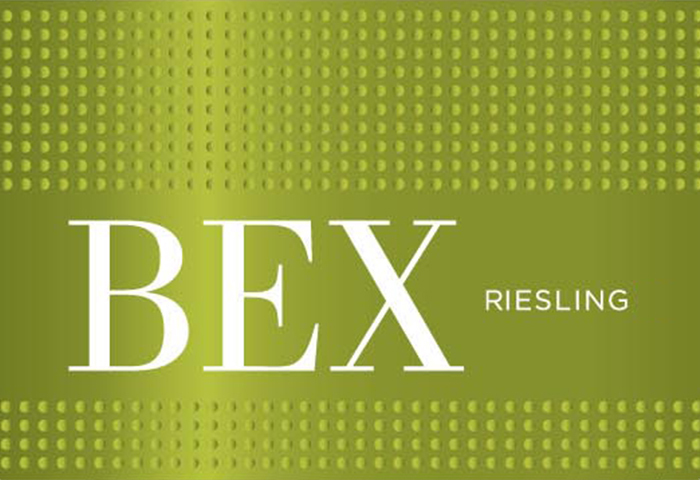 BEX Riesling is fermented at cool temperatures (52°- 55° F) and aged in stainless steel tanks to enhance the wine’s fresh fruit characteristics. Twist off closures are used to further preserve the zesty citrus and bright stone fruit nuances and seal in a slight effervescence that lifts the delicate aromas out of the glass. The 2014 BEX Riesling is a brilliant straw color with less yellow fruit notes than the 2013 vintage. 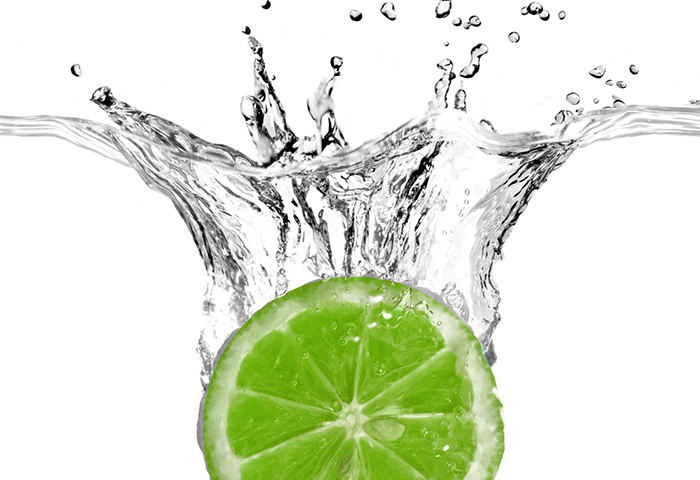 Aromas of orange blossom, lime and white grapefruit are followed by mouthwatering flavors of lime and mandarin orange. BEX finishes with mineral and citrus zest highlights. 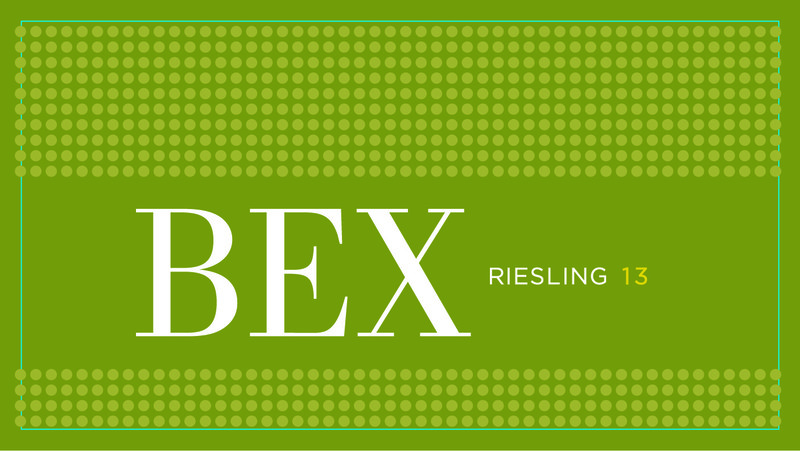 Enjoy BEX Riesling as an aperitif, an accompaniment to light or spicy cuisine, or as a finale served with dessert. 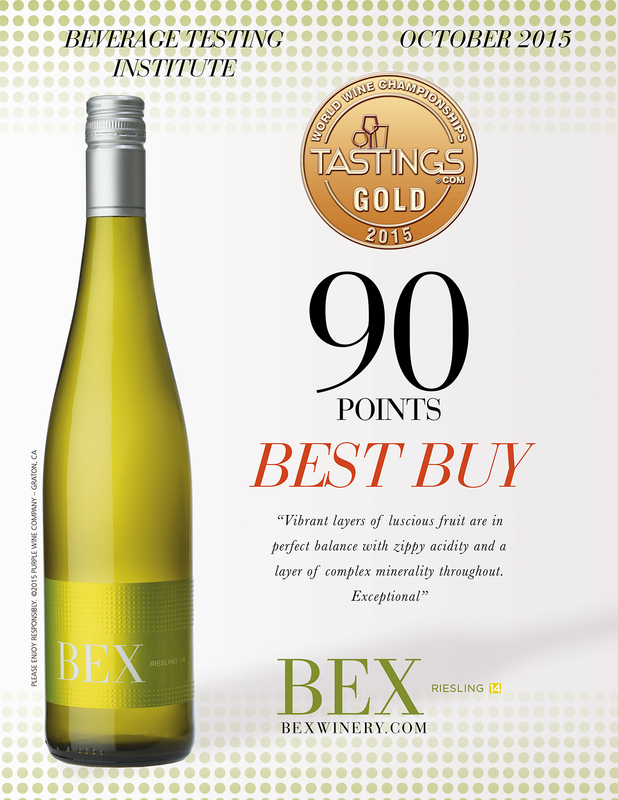 BEX Riesling is distributed nationwide. 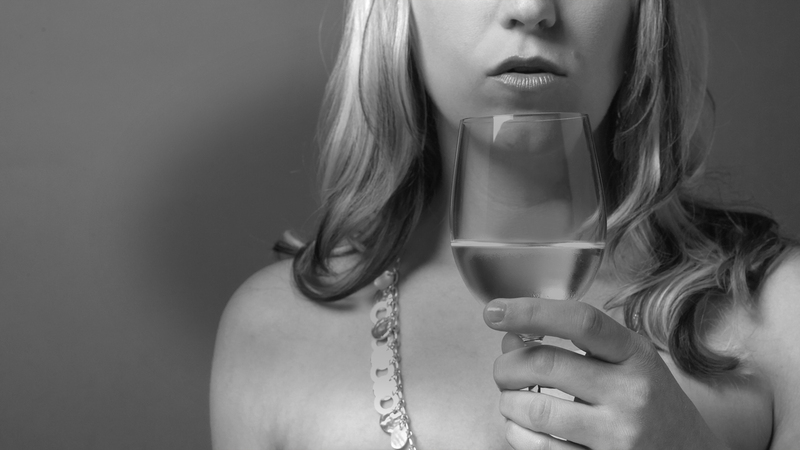 Whether it’s being served by the glass at your favorite restaurant, or it’s being sold by the case at your wine shop of choice – an incredible glass of Riesling is never far away. While we make every attempt to ensure accuracy, our data is updated quarterly and is subject to change. Please check the establishment to make sure they have BEX available. If not, please request it.